Music fans who attend live concerts know well the emotions that low undistorted frequencies without dynamic compression can arouse. 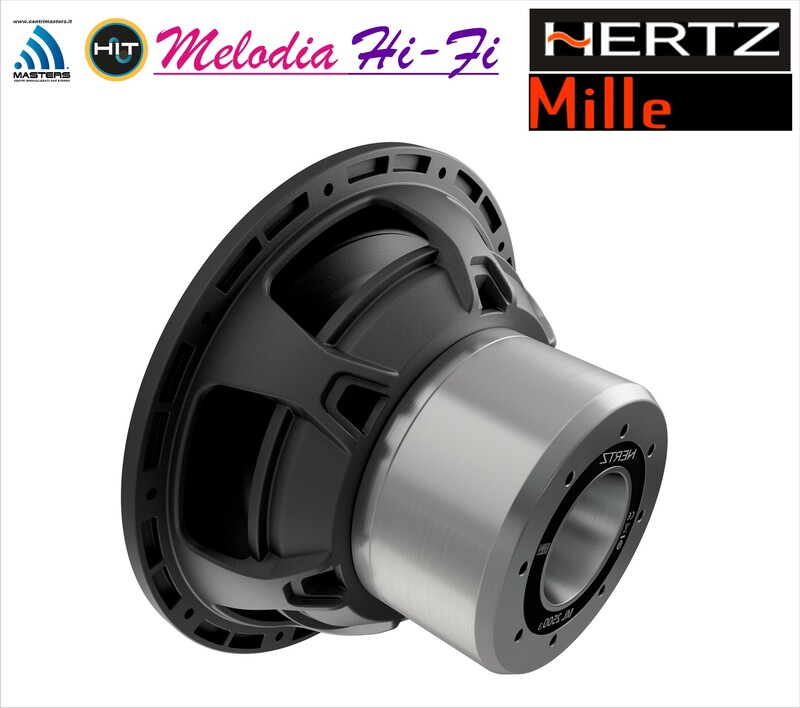 For this reason, the HertzAudioVideo R&D created ML 2500.3 Legend car audio subwoofer. During the long development phase, the designers set themselves just one ambitious goal: to transfer the emotions of a live performance to the car environment. Thanks to a completely renewed design, ML2500.3 car audio subwoofers have extremely compact size and are optimized to play in enclosures with reduced boxes. This choice of design combines two requirements hard to achieve up to now: reference performance and ease of installation. 13. Ergonomic, ultra-compact design, with array of electro-acoustic parameters optimized for sealed box application with 17 – 25 lt volume. The V-CONE® profile prevents the cone from deforming during its course, ensuring that the “piston” works in a correct position, maximizing the production of acoustic pressure.